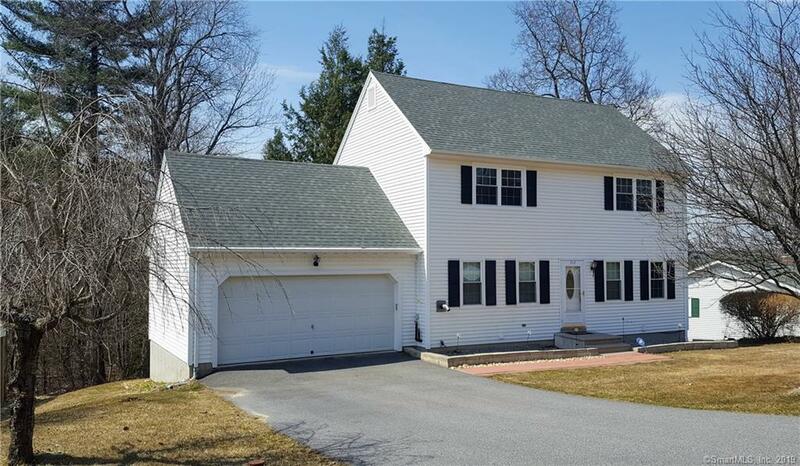 Very well maintained Colonial on Torrington's east side is ready for new owners. This 2024sqft, 3 bedroom, 2.5 bathroom home comes with a brand new roof, new thermopane windows, a newly refurbished deck off the kitchen, stainless steel appliances, pellet stove and ADT security system. Hardwood floors throughout the home make cleaning a breeze. The tile floor kitchen has an eat-in area with walkout to deck creating a great space to enjoy your morning coffee. The ample size bedrooms are located on the upper level along with a full bath with double sinks. There's also laundry hook-ups on the 2nd floor for the option of moving washer and dryer up from the lower level. The walk out lower level features 528ft of finished living space(incl. in total living sqft), a full bathroom and laundry area. Conveniently located with easy access to Rts 4, 202, and 8. Motivated seller says bring offers!